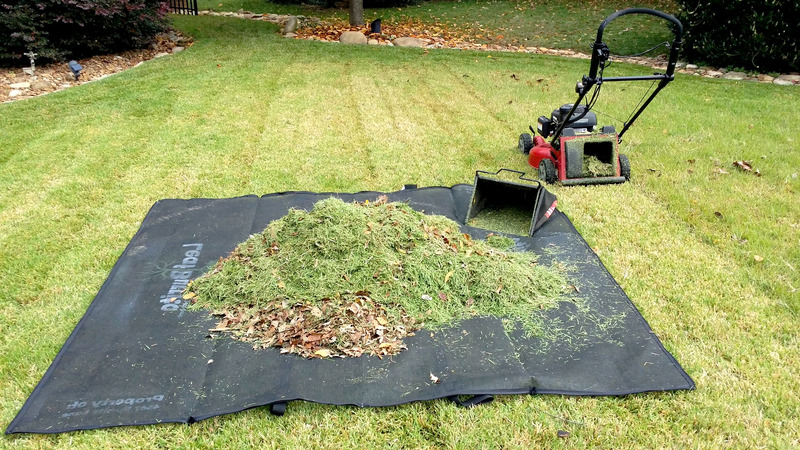 If you were at GIE+EXPO in Louisville, Kentucky, this October, you might have encountered a new exhibitor with a product known as Leaf Burrito. Leaf Burrito is a reusable yard waste removal bag designed to replace single-purpose plastic bags. 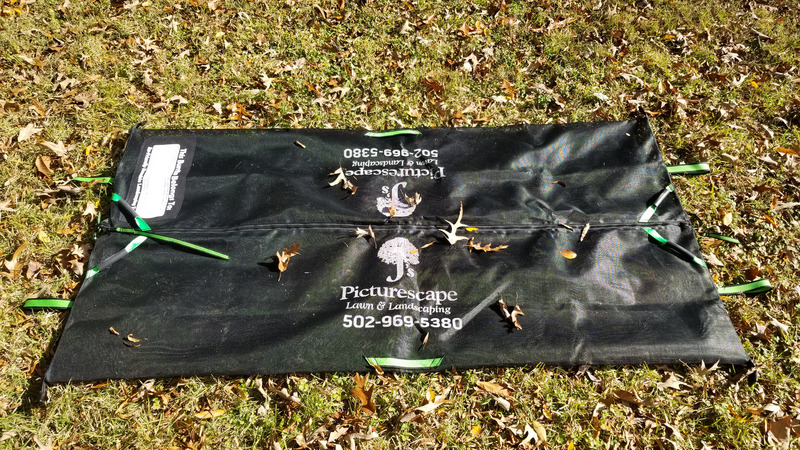 The bag is constructed of industrial-grade mesh and zippers allowing it to unfold like a tarp for loading yard debris and then transforms into a bag or burrito, if you will, with a few quick zips. Marc Mataya is the inventor and owner of the Leaf Burrito. He got his inspiration for the product when he was preparing for a big holiday party and had 25 bags worth of leaves rolled up in a tarp. He asked the garbage collectors up the street if he could still dump the leaves even though he hadn’t bagged them, and they said they’d see when they got to his house. Once they got there and dumped his tarp’s worth of leaves instantaneously versus having to rip open every single plastic bag to empty out the leaves, they told Mataya they preferred his method. Mataya says that the company he worked with to produce the prototype also produces truck covers and noticed all the different types of mesh and decided to try that material. Ultimately, they ended up custom designing their own mesh pattern for the Leaf Burrito. After getting his patent, he presented his product to the city of Charlotte as a way to reduce the number of plastic bags heading to landfills and at first the city said no. Eventually, the city said agreed test out the bags and now Charlotte has been servicing the Leaf Burrito for 19 months. Mataya says the garbage collectors love it. 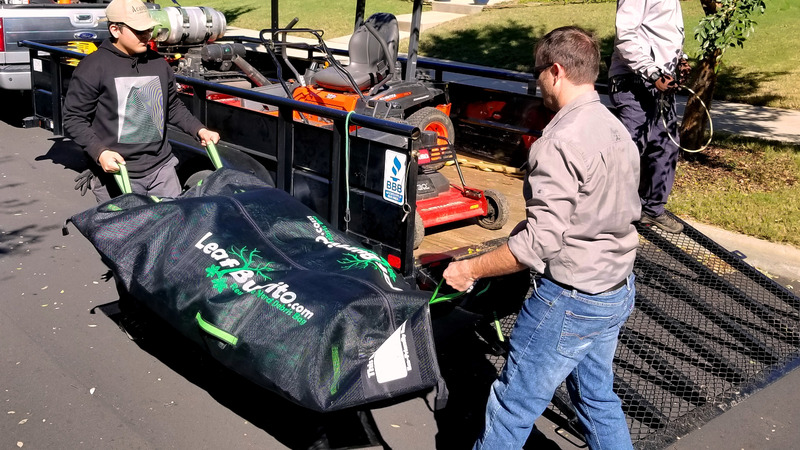 While 5’ Leaf Burrito is made for residential customers, Mataya also has a 7’ model that caters to professional landscapers. The commercial-sized Leaf Burrito has 10 handles on it and is designed for much bigger, heavier loads. It can hold ¾ yard of mulch or 6-12 bags of leaves. Mataya says one way landscapers can use it is as a packable and portable wheelbarrow by unzipping one end and shaking out material as you walk. Mataya says some landscapers have even used it as a sling for a heavy tree rootball on a fork attachment. 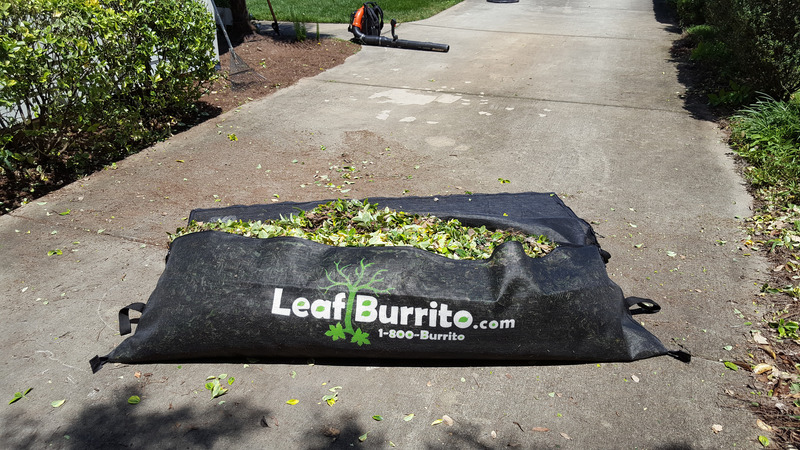 The custom mesh allows the Leaf Burrito to hold up to 500-600 pounds and even if the material is cut, it will not continue to tear. 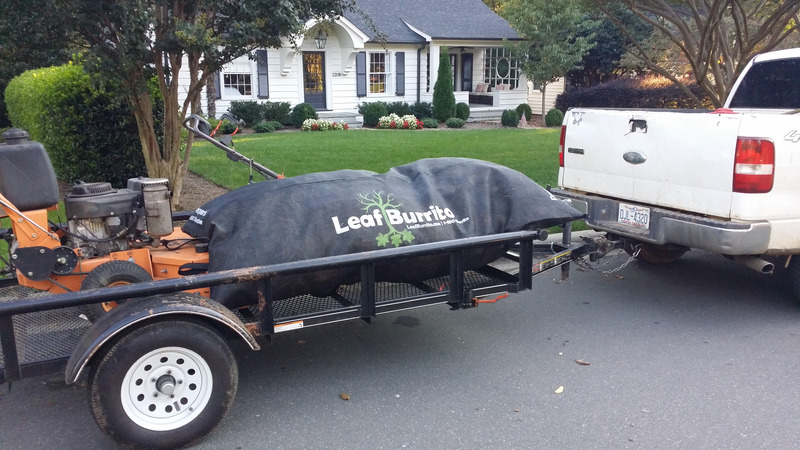 For landscapers who buy the Leaf Burrito in bulk, Mataya offers custom branding on the bags for the professional look. He says right now they’re pretty flexible on how many Leaf Burritos need to be bought before they’ll brand the bags. He says if it’s a good opportunity they’ll do it for just six bags. The employee with Ruppert who saw the Leaf Burrito immediately knew they would be great for his crews who service rooftop gardens. Mataya says another landscaping company called Canopy based in Charlotte has been reviewing the bags not only for their own use but to potentially put their name on the residential-sized bags and then leave the leaf-filled bags on the customer’s property for the city of Charlotte to pick up. Click here for more information about the Leaf Burrito.